Please specify white or clear vinyl. The vinyl is printed on our large format printers to an high resolution. 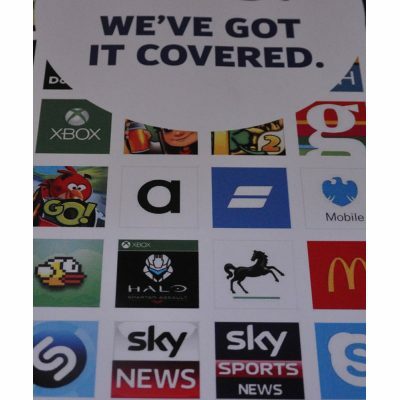 They are printed up to full colour and are highly durable, weatherproof and also waterproof. We can if you require laminate the graphics (Gloss or Matt options available) to extend the durability by up to 50% at an optional cost. Please call or email us for a quote. Simply use our online calculator to receive a quotation. If you then wish to proceed you simply follow the instructions to purchase online and email us your artwork. Please note we have a minimum charge of £15.00 on any sticker order to cover set up costs, this is exclusive of delivery and VAT charges. If the order value is less than this minimum charge, we will contact you to pay the additional charges before the order can be processed. To apply vinyl stickers please use a clean, place on a smooth surface. Please note that stickers can be removed however, doing so will destroy the decal. Small stickers (less than 125mm) can be directly applied by removing the release paper from the back of the sticker, affix the sticker, you should apply a slight pressure to smooth and remove the transfer sheet. Please use caution with this method, once the sticker makes contact with the surface, it is stuck and you will not be able to reposition it. With larger vinyl stickers, we would recommend that you use the following method of application. Mix a small amount of cold tap water with one drop washing up liquid. The best way is to use a spray bottle, you can buy these from any garden centre. The liquid should be sprayed on liberally to the surface to which the sticker is to be applied. Work from the center to the outside, smoothing out the vinyl sticker to eliminate any wrinkles or air bubbles. A thin piece of plastic or a bank card makes a very effective “squeegee” for this purpose. When you have applied the graphic and happy with the position of it, let it dry for about 20 minutes,If an edge of the sticker lifts from the surface, use thin plastic squeegee to smooth it back down and wait a couple more minutes for the further drying.